Samsung has introduced today the new terminals of the Galaxy series, the Galaxy A3 and the Galaxy A5. They are designed to cover the mid-range market in 2015, and both have an aluminum end and a significantly thin body. This one is the top model. It features a 5 inchesHD AMOLED screen, a quad-core processor running at 1.2 GHz and 2 GB of RAM. 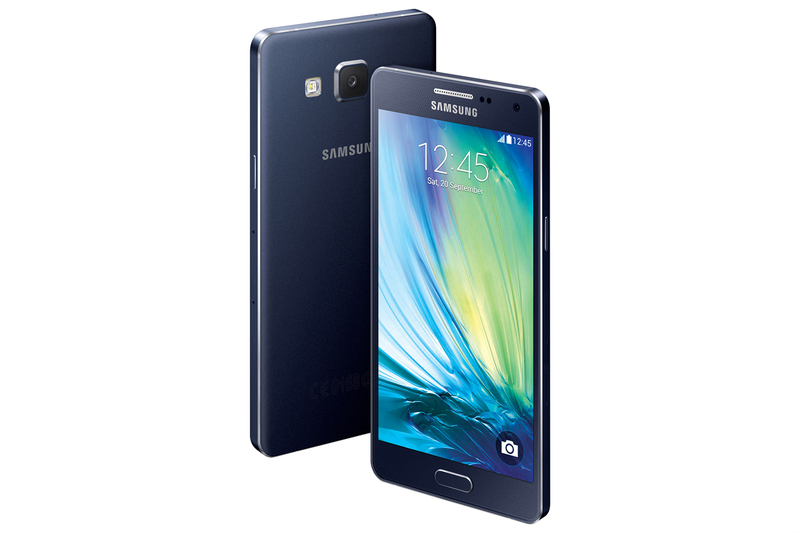 The Galaxy A5 has 16 GB of internal memory expandable via microSD card. The battery has a capacity of 2300 mAh. The rear camera features a 13 MP sensor, autofocus and LED flash, while the front one has a 5 MP sensor. It has Wi-Fi connectivity, LTE and NFC. The Galaxy A5 runs Android 4.4 customized with TouchWiz, and includes Ultra Energy Saving Mode, multi screen, and private mode. Highlighting the camera features, Samsung includes several photo applications on both devices, such as the possibility of making animated GIF, Beauty face features, or the ability to perform selfies with the rear camera. Most striking, however, are the dimensions. 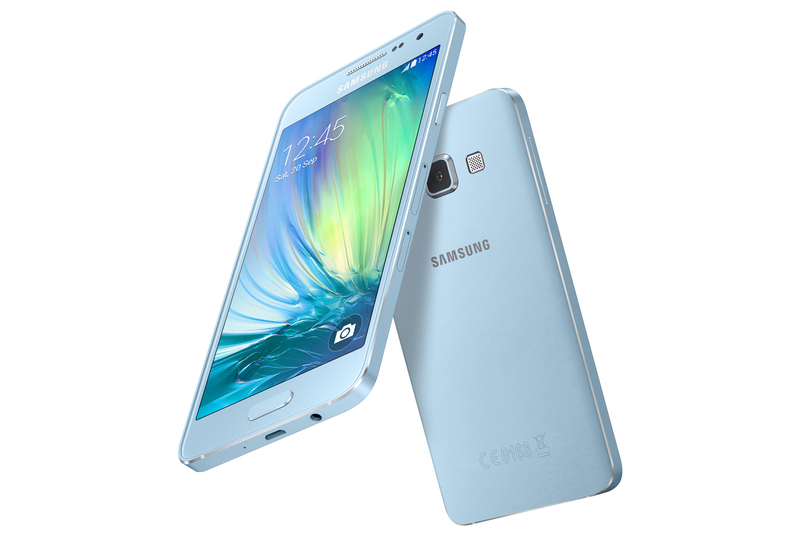 The Galaxy A5 has a metallic end and measures 139.3 x 69.7 x 6.7mm, weighing 123 grams. It also includes a collection of sensors, such as accelerometer, proximity sensor, geo-magnetic and ambient light. The Galaxy A3 has a 4.5 inches qHD SuperAMOLED screen, a quad-core processor running at 1.2GHz and 1GB of RAM. The internal memory is equivalent to the previous model, 16GB, and it also has a microSD card slot. The battery in this case is 1900 mAh. The Galaxy A3 has the same camera as the A5, 13 and 5 MP respectively, and also offers Wi-Fi connectivity, LTE and NFC. It goes on sale with Android 4.4 KitKat plus the TouchWiz customization layer, and it also includes a power saving mode. In this case, the dimensions are 130.1 x 65.5 x 6.9mm, slightly thicker than the previous model, although the weight decreases to 110.3 grams. It has accelerometer, proximity sensor, geomagnetic sensor and ambient light sensor. Samsung has not said anything about the price of these new devices, but they will be available on November in various colors: white, black, silver, pink, pale blue and gold.